With A LOT of young players, the Tigers were really unsure about the upcoming season. They were going to have to find leaders fast. From the start of the 2017 season, the girls really found their groove quite early. With crucial wins late, the Lady Tigers found themselves 4th in the district going into the tournament. With a big first round win against Munford putting them into the second round against a tough Northview team. 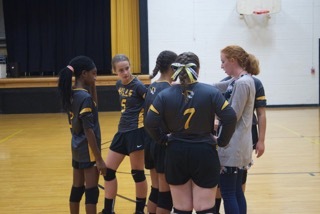 Despite defeat in the second round, the Lady Tigers had nothing to be ashamed of. Under the leadership of Head Coach Richard Dawson and Assistant Coach Hollie McMillian, the Tigers look to use their expericnce in the 2018 season.